In school, he gives off an impression of a quiet, anti-social guy. Usually assumed to be an otaku with good studying capabilities, Miyamura is soon to be viewed as a good friend to both Kyouko and her closest friends. Despite the weather, Miyamura tries to cover up as much as possible in order to hide his tattoos and leaves his long hair loose to cover up his piercings. This image briefly changes once he leaves school, particularly at Kyouko's house. Once he is outside of school, he removes his blazer and necktie and wears his hair up which visibly shows his multiple ear piercings. He also enjoys getting lattes from Starbucks and does not mind wearing short sleeves that show off part of his tattoos. 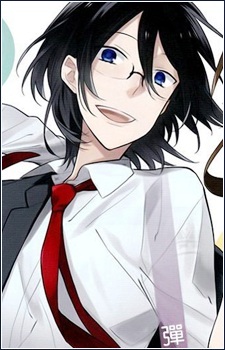 Unlike most characters that wear glasses, Miyamura does very poorly in his studies, only managing to score full marks in P.E and average (or below) in all other classes. Although usually having trouble pronouncing certain Japanese words, he is very good at tongue twisters.